Dancing with the Stars contestant and Harry Potter actress Evanna Lynch is supporting the launch of a first of its kind mobile app to help people go vegan. Educational charity The Vegan Society has released the free VeGuide app – which is now available on Android and iOS devices – to mark its 74th birthday on World Vegan Day (1 November). 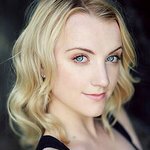 Evanna Lynch said: "VeGuide is an amazing tool for new and transitioning vegans and the only app designed to help you transition to veganism in 30 days. Danielle Saunders, Digital Content Officer at The Vegan Society, said: "We are so excited to launch an app we developed specifically with the vegan-curious in mind.